Stratocaster vs Telecaster. What's the difference? All Fender guitars are works of art, so you can hardly go wrong. The Stratocaster and Telecaster guitars are Fender legends, and two of the most popular instruments in the music industry. Both guitars are loved by players in almost every imaginable genre of music, and both have been endorsed by numerous icons of the guitar world. But if you don’t know much about either, how do you decide which guitar might be better for you? What’s the difference, anyway? Some people will tell you that you can’t go wrong with either a Strat or Tele, but that’s only partly true. While they are both awesome guitars, each has its own vibe and has more firmly carved its niche in certain styles of music. One or the other is probably better suited to your playing style and musical tastes. Countless versions of each guitar exist, both those offered by Fender and those created by players themselves. Stratocasters and Telecasters have been decked out with special pickups and other appointments to make them more usable in specific genres. Fender is among the best guitar companies in the world. From its Squier line of guitars, to custom shop models for pros, they build a Strat or Tele for every level of player. With all of the different models and options it can be confusing, and hopefully this article will help you better sort out the differences between the two guitars. 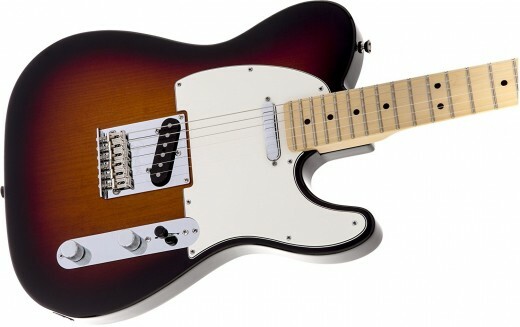 For a lot of guitarists the Fender MIM Standard Telecaster and Stratocaster are more practical from a cost perspective. However, for our purposes here, and to hopefully relieve confusion, let’s consider the American Standard Strat vs the American Standard Tele. Body: Both the Stratocaster and Telecaster typically feature an Alder body. Alder is a snappy tonewood that gives guitars a good bite to their sound. 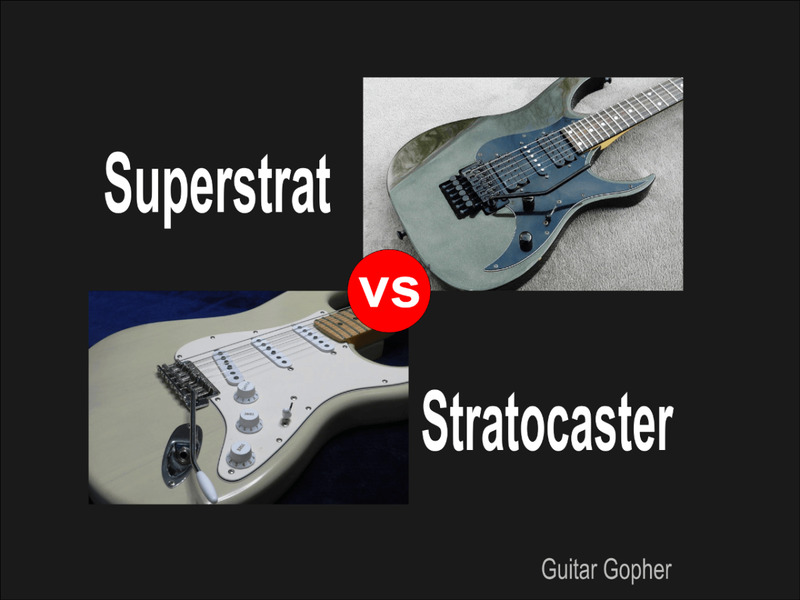 The shapes of the guitar bodies are different, and due to the shape of the upper horn perhaps the Stratocaster allows a little more access to the higher registers, but the difference is minimal and probably doesn’t affect most players. It's also worth noting that both guitars are available in a few different tonewoods besides the standard alder. For example, ash is another choice coveted by both Stratocaster and Telecaster players. Some players feel it adds a little depth and resonance to their sound. Interestingly, some early Telecasters were made of pine, which is an almost unheard of tonewood choice today. Neck: The necks of the Strat and Tele are both Fender’s “Modern C Shape”, and both are made of maple with the option for either a one-piece all-maple neck, or a maple neck with a rosewood fingerboard. Maple fingerboard have a bit more bit, where rosewood will round out the notes a little more, and it is a matter of personal preference. Both guitars feature 22 medium-jumbo frets, the same 25.5” scale, and the same nut width and fretboard radius. The Stratocaster has a larger headstock. Some guitarists believe a heavier headstock allows for more sustain and better tone. This is the kind of discussion that can cause massive arguments in guitar forums, but the truth is most players probably won’t notice a difference. Even though the necks are similar, most players will tell you there is a definite difference in the feel of each guitar. So far both guitars seem pretty similar, but from here out the differences become more evident. Pickups: Both guitars come with single-coil pickups specifically designed to get the most out of their sound. 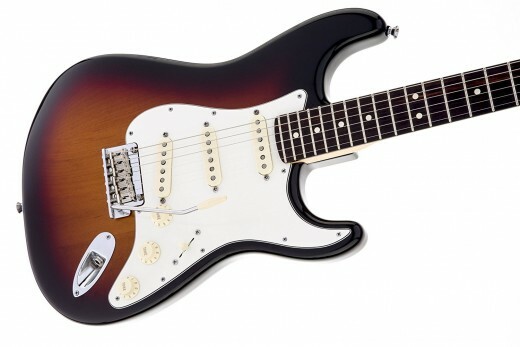 The Stratocaster has three Fender Custom Shop Fat 50's single-coil Strat pickups, where the Telcaster has a Custom Shop Broadcaster in the bridge position, and a custom Twisted Tele pickup in the neck. The Strat has a 5-way pickup selector switch, where the Tele has a 3-way. This means the Strat has more options and more available tones when it comes to switching between pickups, and employing different pickup configurations. 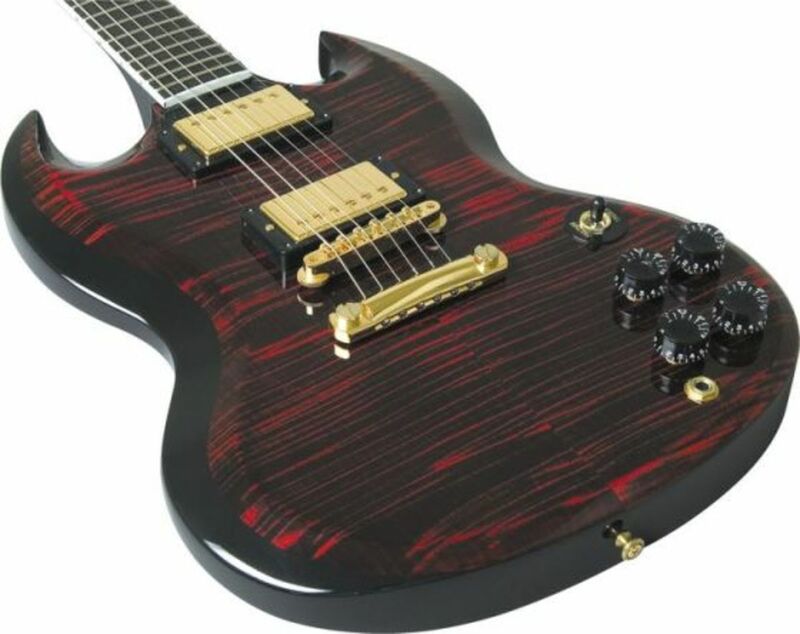 These uniquely designed pickups also mean there is a noticeable tone difference between the two guitars. Note that both the Strat and Tele come in versions equipped with humbucking pickups. 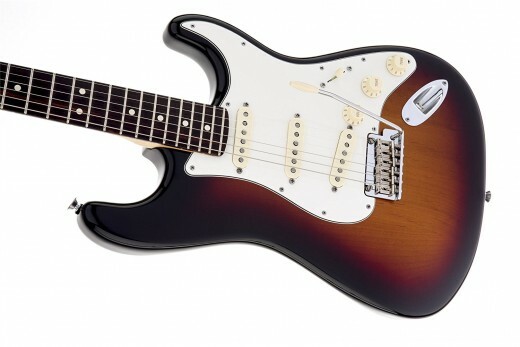 For the Strat, a bridge position humbucker is most common, and Fender makes many versions of the guitar with a hum-single-single or HSS pickup configuration. Hardware: When it comes to hardware, the bridge is perhaps the biggest difference here between the Stratocaster and Telecaster. Both bridges have six adjustable saddles, but where the Tele bridge is one piece that extends beneath the bridge pickup, the Strat bridge is a smaller 2-point tremolo system. The Stratocaster bridge is attached to springs that connect with the body of the guitar and allow the player to increase or decrease tension on the strings, creating a vibrato effect. This makes the Stratocaster a bit tougher to keep in tune, but a good setup goes a long way toward maintaining the tuning stability of either guitar. Many players "block" the bridge of their Strats, effectively turning it into a fixed bridge more similar to the Telecaster. 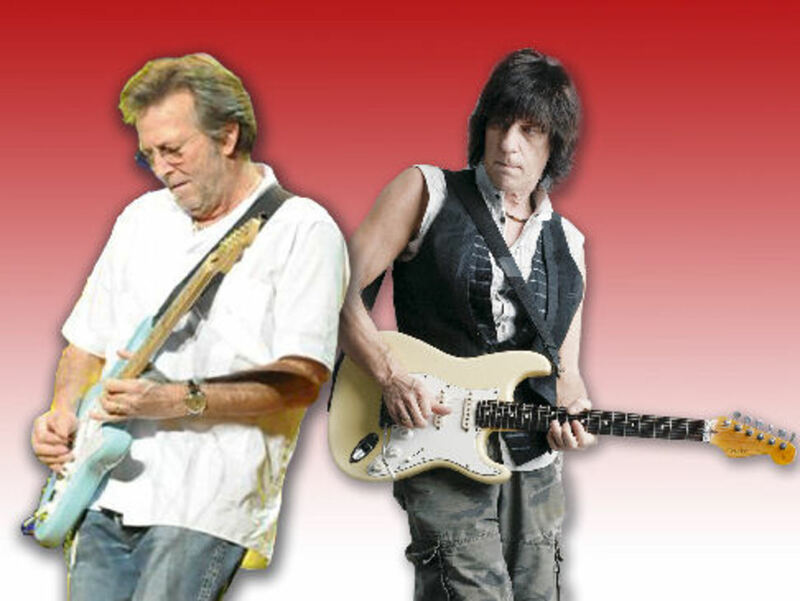 For heavier styles of music, some players prefer Stratocasters equipped with Floyd Rose tremolo systems. Electronics: Both guitars are fairly simple under the hood, sticking to the basic blueprint outlined by Fender so many years ago. 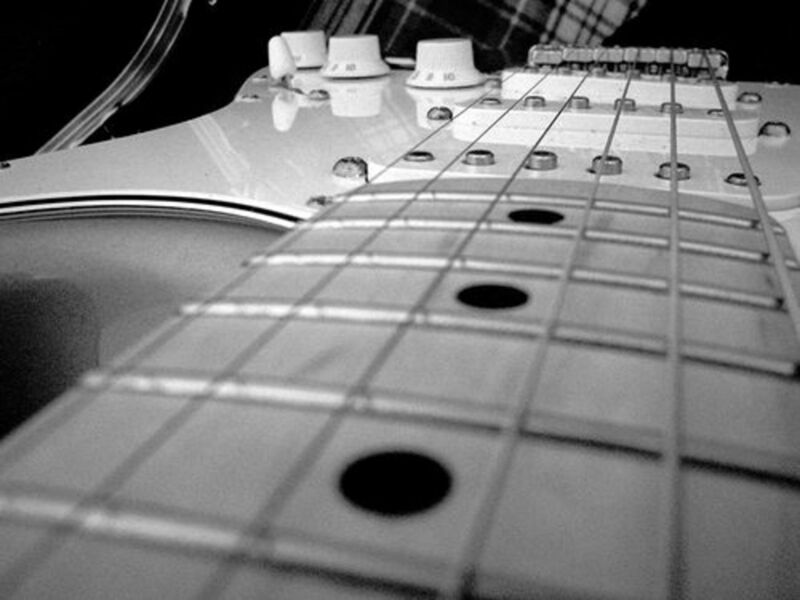 Here again the Stratocaster offers a little more flexibility when it comes to tone. Both guitars have master volume controls, but where the Telecaster has only one tone control, the Strat has one tone knob dedicated to the middle pickup, and one to the bridge pickup. This, combined with the aforementioned 5-way versus 3-way switching makes the Stratocaster a little more versatile when it comes to the array of available sounds. Strat or Tele: Which to Choose? Maybe you read all of the above and you’re still confused. After all, what matters is figuring out which guitar is better for you, not knowing what the neck is made out of! The best thing to do is go out and play a bunch of each kind of guitar, and let your ears and hands make the choice for you. Most experienced players will tell you, even though the two guitars might look similar on paper, the feel and sound of a Stratocaster versus a Telecaster is very different. Remember that the guitars compared above are the basic American Standard versions. If you decide you like the feel of a Telecaster but prefer the sound of a Strat, no doubt with minimal searching you can track down a Fender with pickups and specs more to your liking. Fender really does offer a ton of different options for both guitars. Stratocasters might be more known for rock and blues, where Telecasters are more known for country music, but both guitars have been used successfully in every genre imaginable. Don’t let stereotypes make your decision for you. Go out and play guitars and decide for yourself what you like. Stratocasters and Telecasters are both great guitars, but if you're like most guitarists you’ll eventually find yourself gravitating to one or the other. And after you've been playing for a while you'll come to know another secret about Fender guitars: You can never own too many of them! When it comes to the Stratocaster and the Telecaster, no matter which is their favorite many players simply prefer to have a few of each! Which Fender best suits your musical style? On second thought I'm getting a Les Paul. Is a hardtail Stratocaster considered a "real" Strat and is the sound different? I certainly consider hardtail Stratocasters real Strats, and I think most guitar players would agree. You may notice a slight increase in sustain and resonance with a hardtail, where a Strat with a tremolo will sound a little tighter. Overall I think the difference is minimal, but some players swear by one or the other. Many Stratocaster players also “deck” their tremolos. This means they adjust the springs and the bridge itself to prevent it from easily moving. Another method is to “block” the tremolo. Here a wooden block is installed in the spring cavity, again preventing the tremolo from moving. Both of these methods, to some extent, can turn a Strat with a tremolo into a hardtail. Some players feel that a blocked or decked tremolo results in better tuning stability, as well as the aforementioned improved sustain and resonance. If you intend to try it and aren’t experienced with guitar setup and repair you’ll want to leave this job to a guitar tech. However, even if you block the trem you’ll still have a big cavity and lots of metal in the body of the guitar, instead of the solid wood body you’d get with a true hardtail. That, I think, is the root of any sound difference. Again, I think it’s minimal, but I suggest you try out both types of Stratocasters and decide for yourself. What about Rickenbacker guys?? 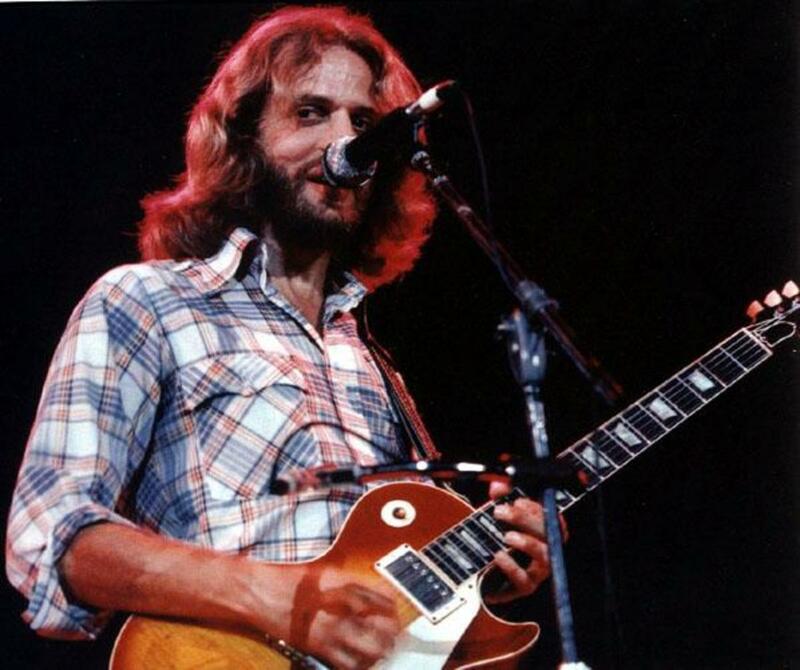 Can't beat that jangle and good for slide too (ask Joe Walsh). Loved your article by the way but I would choose a Tele every time. Cheers Chris. Thanks Matt! You make a great point, but you left out the rest of my sentence in the quote: "...but the difference is minimal and probably doesn’t affect most players." For me, I've always felt like shape of the body of the bass-side made the Tele a little clumsier when fretting the highest notes. It's not so much where the body joins the neck, but the shape of the body itself. Of course that's just my opinion, based on my playing style. Other guitar players may notice no difference at all. Really good article, but the author is in error when he states: "perhaps the Stratocaster allows a little more access to the higher registers". It's just not true. The body joins the neck in exactly the same place on both guitars. 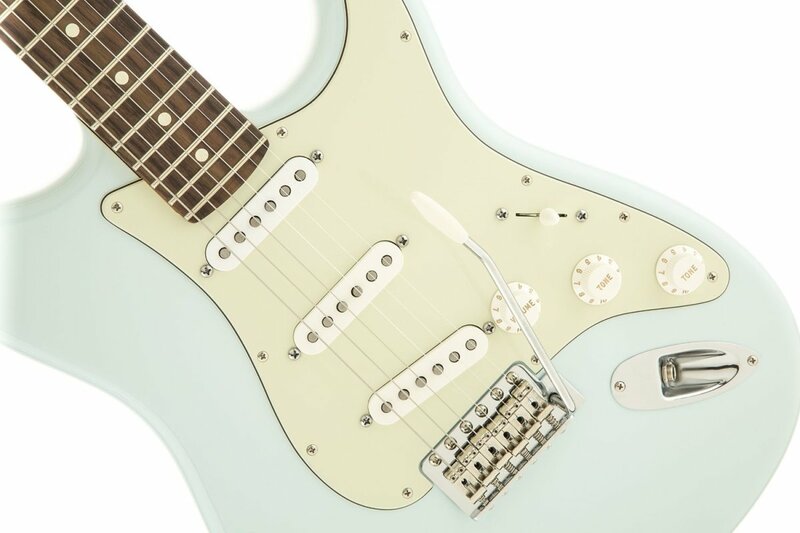 The Strat gives the visual ILLUSION of a deeper cutaway because of its extended upper horn. But I have had many Strats and many Teles. Access to the higher registers is exactly the same.